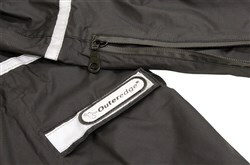 Outeredge Sport cycling trousers are ready to take on the worst the British weather has to throw at you. 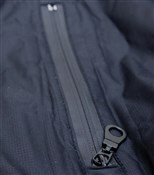 Both waterproof and breathable these trousers are comfortable with a cycle specific fit. Anti rip fabric is great for keeping these trousers in top condition despite the impact of daily wear. Zipped lower legs allow for easy fitting while the adjustable velcro flares let you choose the right fit for you. The Sport cycling trousers also come with some high visibility reflective piping to keep you safer whilst commuting and riding on-road. My expectations were low: keep my jeans dry while cycling a 4 mile commute. Still, when faced with the first rain shower my tighs became water logged within 5 minutes. TREDZ should't be selling this useless and wasterful item. Now read their claims for a laugh: "Outeredge Sport cycling trousers are ready to take on the worst the British weather has to throw at you."